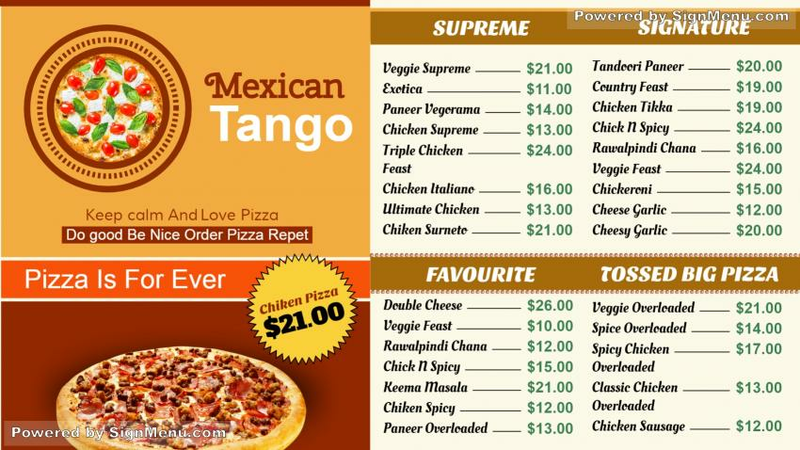 this template depicts an eclectic spread of fast food items which include items in pizzas, chicken, paneer, and vegetable delights. You too can showcase your delectable spread on a digital menu signage board , which will have a powerful impact on your target audience. More customers will come in and your sales will zoom north !